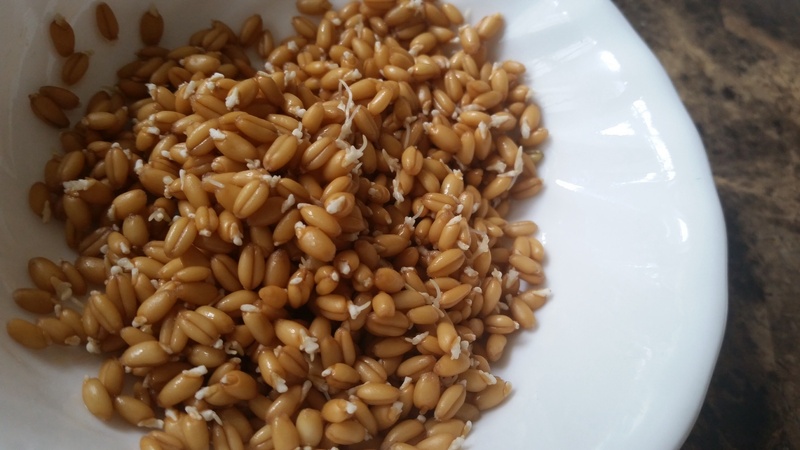 Try Sprouted Wheat-berries (गेहूँ)…my new love! Golden, crunchy, nutty and….so addictive!! 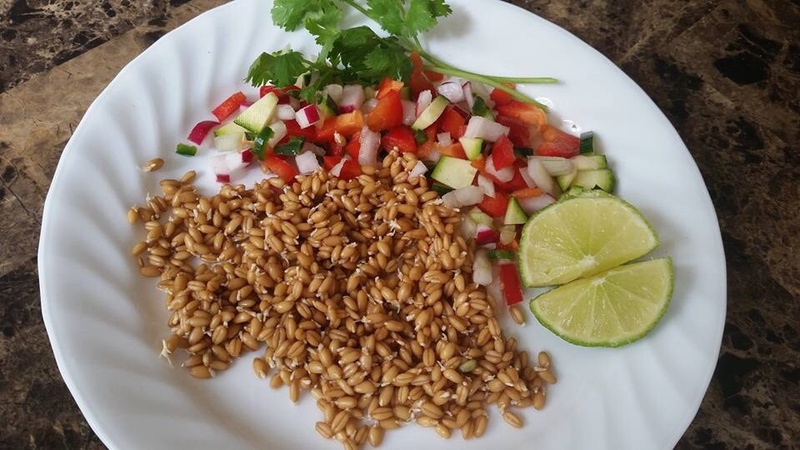 Take some wheat berries (गेहूँ), I used about 1/2 cup. 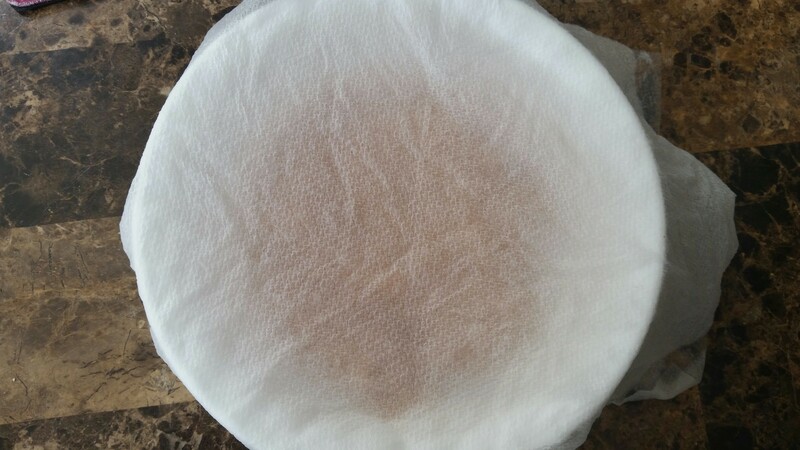 Wash rinse and soak in hot water for 18-24 hours. Keep covered. 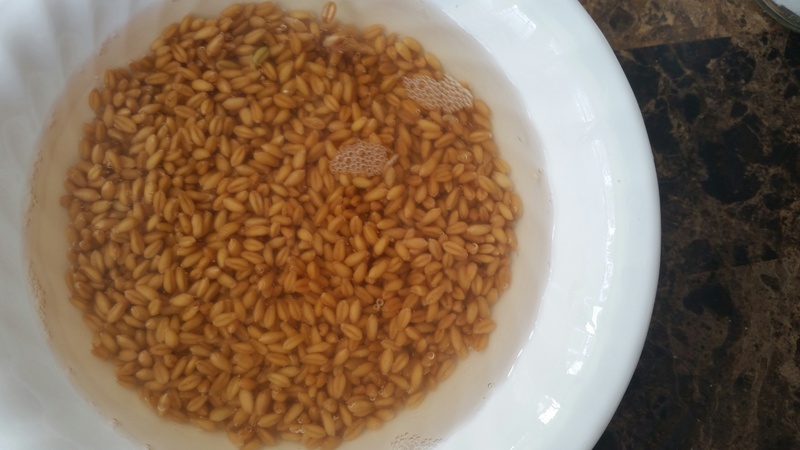 The initial soaking in hot water will make the wheat berries swell and soften and grow in size. Then for the next 2-3 days…wash, rinse morning and evening. Keep covered with damp cloth at all times. By the end of third day your wheat berries will have sprouted! 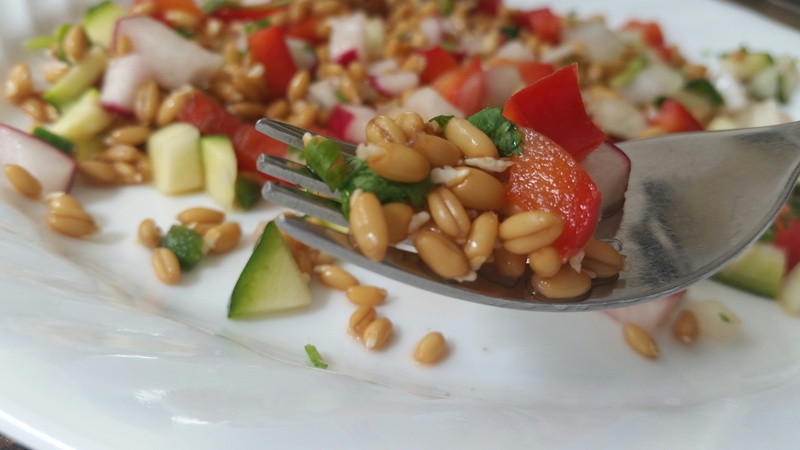 You can enjoy them raw….they soften up by the end of the sprouting process. 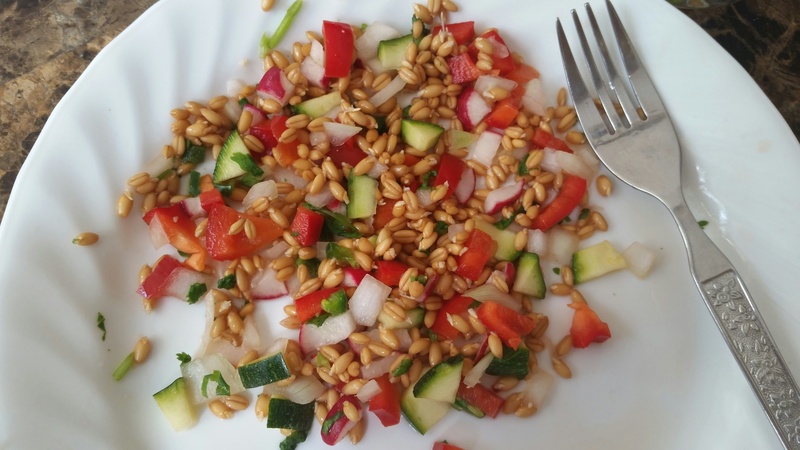 I love their crunchy and nutty texture’ especially in salads. 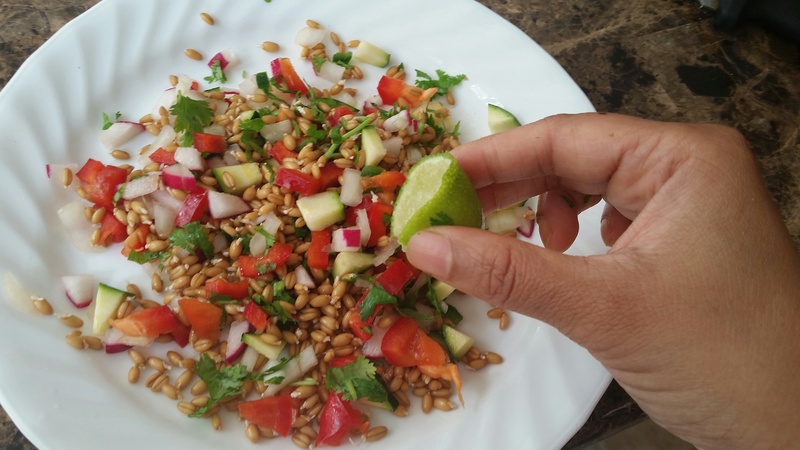 Below…you see me using them in the simplest of salads! 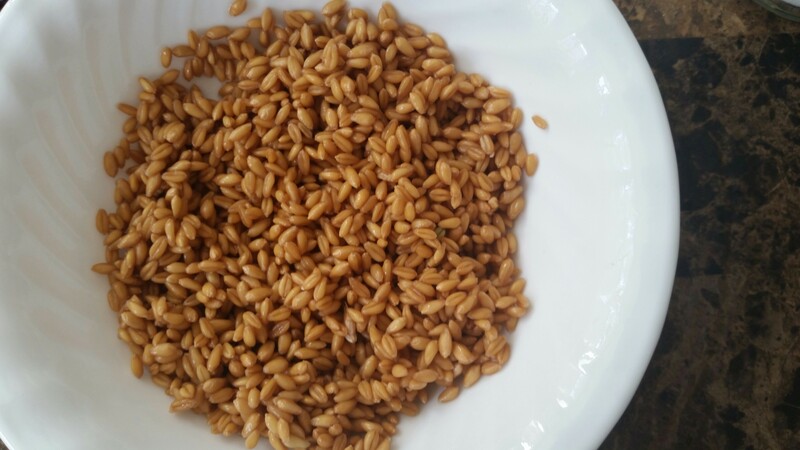 What kind of wheat berries are best for sprouting? 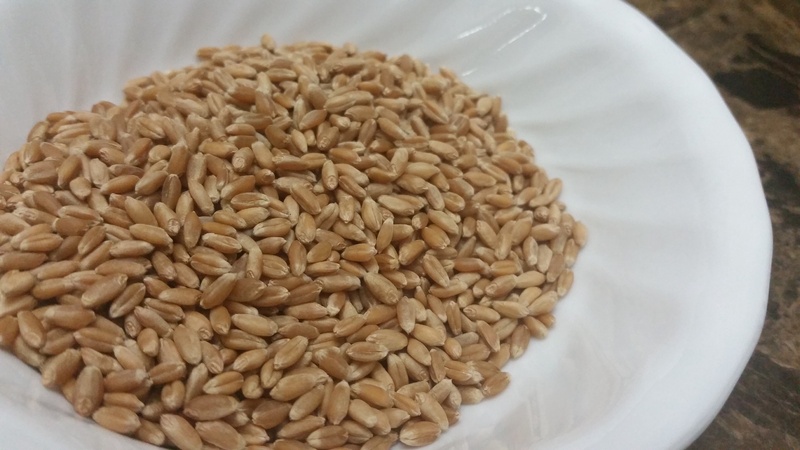 Hard red wheat berries are the best!